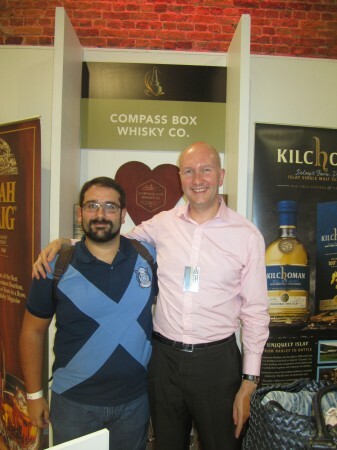 Read stories about Glenfarclas of A Wardrobe of Whisky blog. 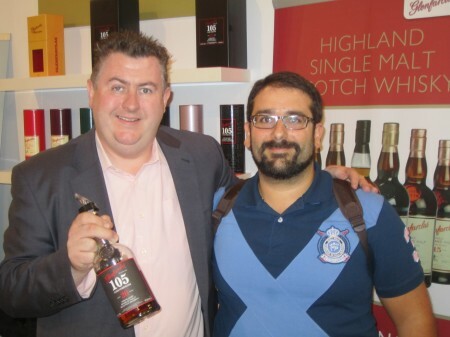 I tasted this Glenfarclas 105 20 years old with George Grant at The Whisky Exchange Show 2012. 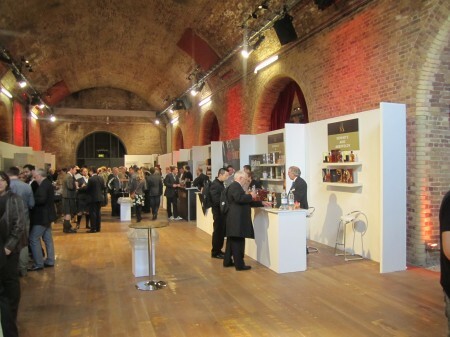 It has been quite an experience and a real pity I had so much whisky to taste because Glenfarclas stand was exquisitely filled with some of their best whiskies. This limited edition Glenfarclas has been bottled in partnership with online retailers, Mo-Bro�s, and poor-quality dresser-uppers Master of Malt in support of Movember. Movember is a men�s health charity which raises awareness and funds for men�s health, specifically prostate and testicular cancer. �10 from the sale of every bottle will be donated to Movember. For more information on Movember visit www.movember.com. 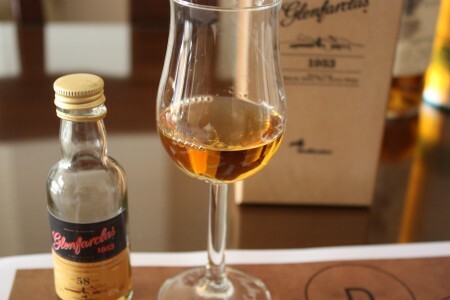 Distilled in September 2002 and bottled in September 2011, this most unusual 9 year old Glenfarclas has been taken from two Oloroso sherry hogshead casks, and can be perfectly described as an �aperitif whisky� - nutty and intensely savoury. Movember is a men�s health charity which raises awareness and funds for men�s health, specifically prostate and testicular cancer. �10 from the sale of every bottle will be donated to Movember. For more information on Movember visit www.movember.com. 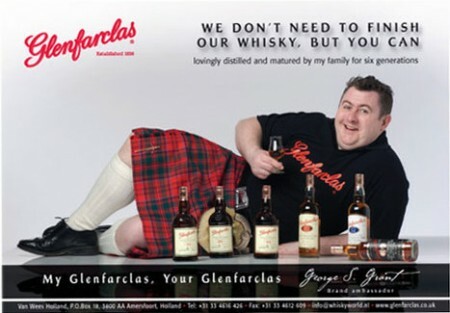 Distilled in September 2002 and bottled in September 2011, this most unusual 9 year old Glenfarclas has been taken from two Oloroso sherry hogshead casks, and can be perfectly described as an �aperitif whisky� – nutty and intensely savoury. Nose (92): strong. honey, leather, cocoa, nuts, citrus, vanilla, wood. This is Oloroso sherry! Love it or hate it but it can't be more pure. Palate (93): smooth, powerful, oily. honey, wood, tobacco, citrus, nuts, cocoa, spices. Finish (93): long. oloroso, honey, wood, spices. So based on other whiskies I have already tasted I rate this Glenfarclas Movember 2011 with 93 points over 100.